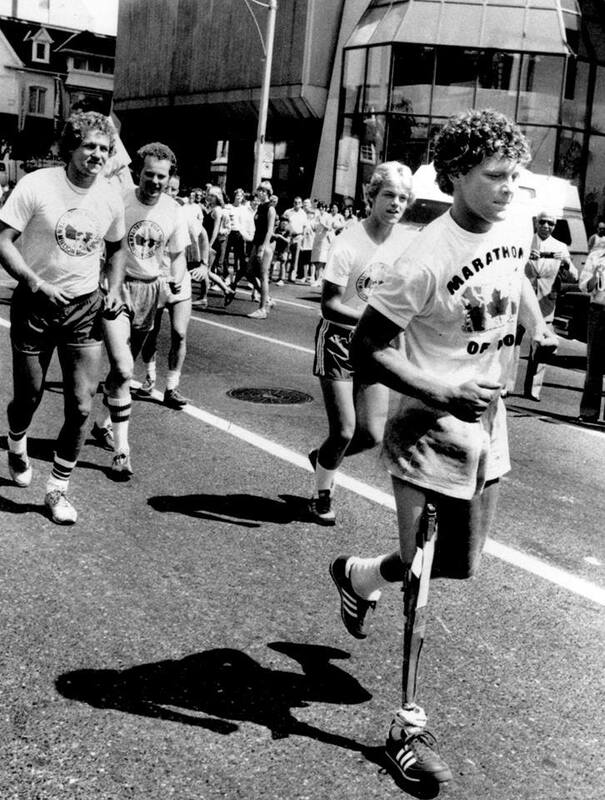 Photo courtesy of the Terry Fox Foundation. POWELL RIVER, B.C. – Terry Fox’s legacy will live on for the 38th year in sites across Canada, including the Comox Valley and Campbell River, this Sunday. Starting on April 12, 1980 in St John’s, Nfld., Canada’s eastern most city on the shore of the Atlantic, Fox ran through six provinces, covering close to a marathon a day for 143 days in his quest to raise funds and awareness in the fight against cancer. But after 3,339 miles the cancer took over, and Fox, who lost his right leg to cancer when he was 18, was forced to end his Marathon of Hope. Fox died on June 28, 1981, one month short of his 23rd birthday. 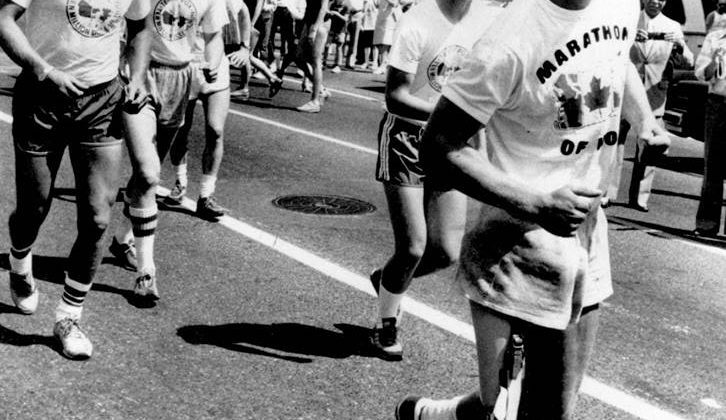 Since its inception, the Terry Fox Run has raised $750 million for cancer research, through the Terry Fox Foundation. Runs are being held across Canada this Sunday, Sept. 16. The run is being held at Simms Park. Registration is at 11 a.m. with the run starting at noon. The route is suitable for bicycles, wheelchairs/strollers and rollerblades. Dogs on leash are welcome. Route distances are 1 km, 2 km, and 5 km. Registration is at 9 a.m. with the run getting underway at 9 a.m. at the Campbell River Seawalk, between Frank James Park and Rotary Park. The 5 km run is suitable for bicycles, wheelchairs/strollers and rollerblades. Dogs on leash are welcome. Sign up is 8:30 a.m. and the run starts at 10 a.m. at the Powell River Recreation Complex. Route distances are 3.5 km and 10 km. For more details., visit www.terryfox.org.